Living in Australia makes you increasingly aware of your health and listening to your body. Not only the restaurants and cafes are evolving to offer healthy alternatives, but Australian chiefs too are influencing the change, by writing nutritional healthy modern recipes in their cookbooks to shape how we eat at home. Like their followers they are passionate, active and crave to use on-trend ingredients that fit with the lifestyle and find the perfect balance, to step closer to cleaner eating and living. You don’t have to shop too hard to find inspirational health emporiums, grocers and supermarkets which all stock, what is now becoming familiar ingredients to healthy recipes. You also can’t help but be impressed with the passion Australians have to be gluten, dairy or sugar free. Recipes on offer showcase nutrient packed cuisines, that don’t sacrifice great taste or use hard to find ingredients. For the majority of us we still get most our recipes online, most familiar in Australia is http://www.taste.com.au/ and while it is a fantastic resource, nothing beats a tangible cookbook! As Australia’s favourite nutritionist Lola Berry believes that eating clean does not mean you have to miss out on your favourite foods. Lola’s cooking is fresh, vibrant and packed full of flavour, so you are enjoying real foods which are based around nutritionally dense wholefoods. Her recipes are gluten and wheat free, with very little dairy and no refined sugar. High energy breakfasts with exciting new lunch and dinner options make healthy creations good for health inside and out! Born in Melbourne and initially having a very unhealthy diet, she went on a summertime detox – to look good in bikinis! Her skin started to glow, her eyes became really clear and she had more energy. This started her fascination that food could play such a huge part to life and eating well is vital for a happy life. She gained a Bachelor of Health Science degree and started filming short food and nutrition web episodes, the rest is history. Now known for her recipes for health, wellness she also stresses the importance of exercise, meditation, mindfulness and sleep, as well as nutrition. 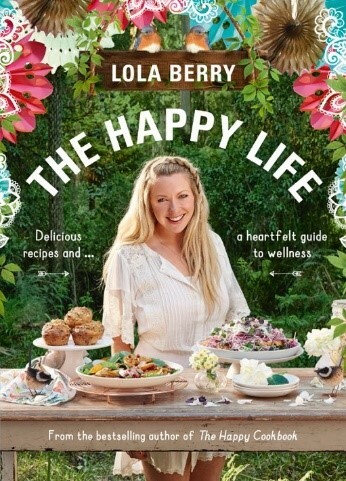 You can also find her recipes on line at http://lolaberry.com. 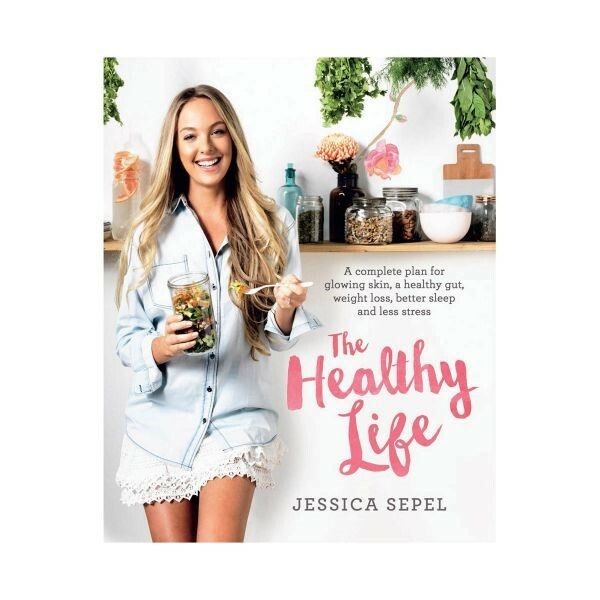 Jessica Sepal is fast becoming in great demand as Australia’s wellness and lifestyle promoter. She believes that letting go of unhealthy dieting habits and finding a balanced approach to weight loss and health, is the key. She advises that counting calories and restricting food groups, defeats the object to getting healthy and losing weight. She pays particular attention to fresh produce, prepared simply and believes good health starts in the kitchen. Jessica is a qualified nutritionist and hugely popular as a health blogger and wellness coach with her plan to healing your life, body, nutrition and your relationship with food. Her guide teaches you to overcome stress and anxiety is explored by her books and online. Here you will find access to recipes, meal plans, tips for eating out, snacks on the go, mindfulness and positivity proving that healthy eating can be fun, simple and delicious. 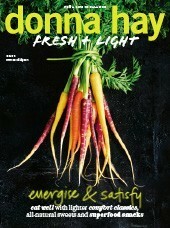 Donna Hay is an Australian Home cook who is one of the world’s leading food thinkers. Her Fresh and Light quarterly magazine perfectly complements Australia’s trend for natural, unprocessed and nutritious foods to optimise their healthy lifestyle. The Fresh and Light series of quarterly magazines have a content mix of extended themed recipes and on-trend ingredients, filled out with quick recipes and useful tips. Aiming to achieve a more balanced lifestyle, Donna Hay is more about finding the perfect balance between eating foods that are good for you, while allowing yourself to indulge every now and again. Many recipes have superfood ingredients that make nourishing eating a sustainable choice. The younger audience who are moving away from fads and diets making steps towards cleaner eating, can be inspired by the on-trend recipes. 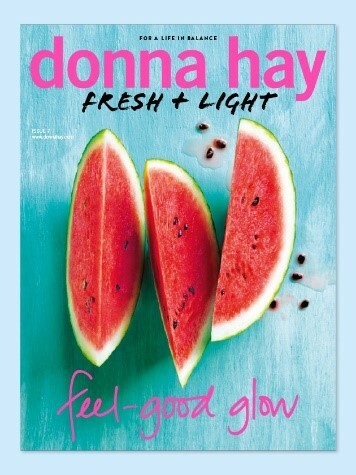 Fresh and Light gives a wholesome, flavour packed approach to cooking that inspires the reader to achieve the perfect balance to achieve a more balanced lifestyle. 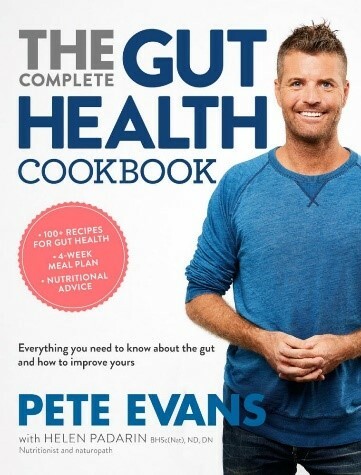 Pete Evans is an internationally renowned Australian chef, health coach, television presenter and author. His passion for food and healthy lifestyle inspires individuals and families around the world. He has a passion for educating people on nutritional food and wellness so that they can improve their lives. Pete Evans believes that with an increasing amount of research pointing to gut health this is then a crucial factor for overall wellbeing. Together with a leading nutritionist Helen Padarin in ‘The Gut Health” he outlines everything you need to know about getting your gut right. With over 100 new recipes in his book he gives a definitive guide to put you and your family on a path to optimum health. ‘Going Paleo’ is a way of life which is taking the world by storm and in this book you will find a way of transforming the way you eat. Pete Evans is Australia’s leading paleo advocate and he provides all the information to fully embrace a paleo lifestyle, including fast and flavourful recipes to get you started. Inspired by the ‘paleo’ way of eating his ‘Healthy Everyday book features recipes with lots of fresh veggies, nuts and seeds, sustainable seafood and meat. He shows you how to make lighter, healthier, but tasty versions of your favourite curries, salads and skewers. And while you will not find any sugar in his books there are still some delicious gluten and dairy free treats. Pete certainly makes it easy to change the way you cook and eat! 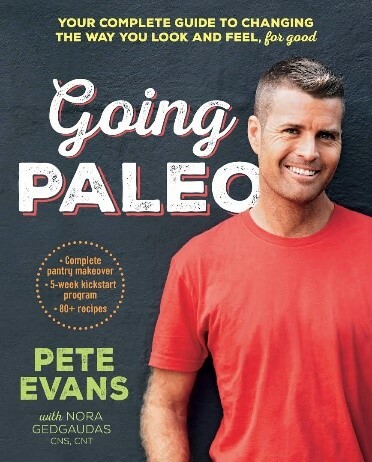 Go to peteevans.com/ to look at his books, recipes and more! Raised in rural New South Wales, Australia on a whole food diet by vegetarian parents Amy Chaplin’s approach to food is influenced by nature and the healing benefits of whole food ingredients. 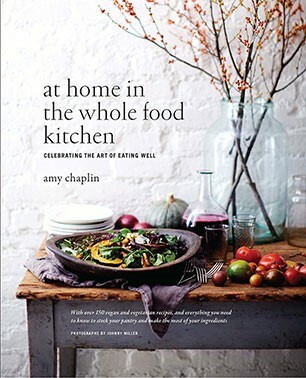 Her book ‘At Home in the Whole Food Kitchen’ entices everyone to eat well at every meal, every day. With her expertise as a chef and love for whole food, Amy provides in her book, the basics of good eating and all the information for creating healthy dishes from unprocessed, unrefined food. Part one gives the foundation for how to stock your cupboard inspiring people to seek out local and organic vegetables so as to stock their pantries with nutrient rich whole food ingredients to cook at home. 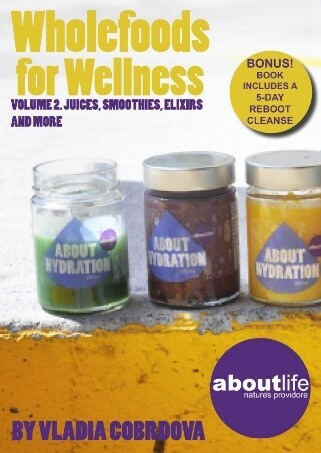 Part two then expands on the basic concepts already introduced as she sets out her inspirational, healthy recipes. The book is really about feeding yourself with good food not dieting or deprivation. On her website she shares her seasonal recipes and health tips. She also has some of her recipes with seasonal recipes and health tips. 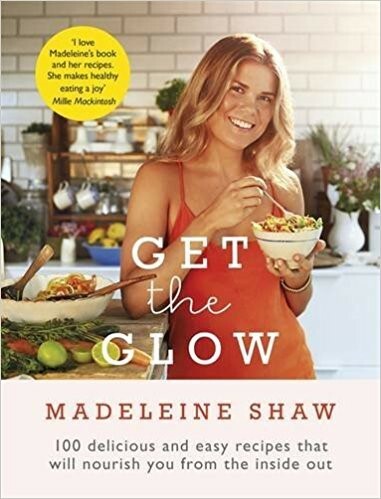 When Madeleine Shaw moved to Australia and got a job at an organic café, where she became interested in nutrition. She began reading about food and learning what is needed by listening to your body, as well as attending the Institute of Integrative Nutrition. Before Australia she had a very unhealthy relationship with food leading to IBS and missed periods. When she started eating whole foods her life improved, as she started falling in love with food and most important of all herself! All her recipes contain no refined sugar (just dates, fruit and organic maple syrup) and to include healthy fats (coconut oil, almond butter and avocados). She is a big believer of going gluten free so as to minimise the stress on the digestive system, reducing inflammation as well as giving the body the nutrients it needs to heal and replenish lost energy. 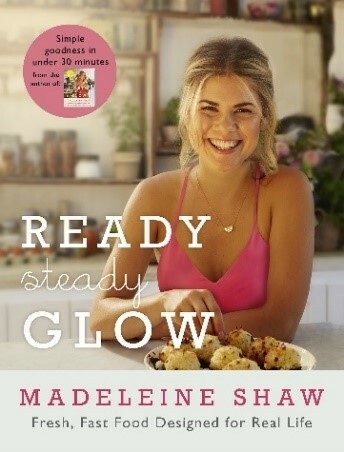 Madeleine’s food philosophy is all about enlivening the hottest, happiest and healthiest you. As a nutrition expert she believes that you must ditch the junk and eat foods which make you glow with health. She believes it is all about keeping things simple and delicious so you don’t feel bored or deprived and eating correctly can become a way of life. Her blog http://madeleineshaw.com/ offers visitors access to free recipes and tips. Based in Sydney’s Bondi Beach, Carla Oates believes beautifully radiant, healthy skin starts with powerful nutrition and effective digestion. Her recipes are dairy free and gluten free, including healthy spins on traditional dishes, treats, family meals and ferments. 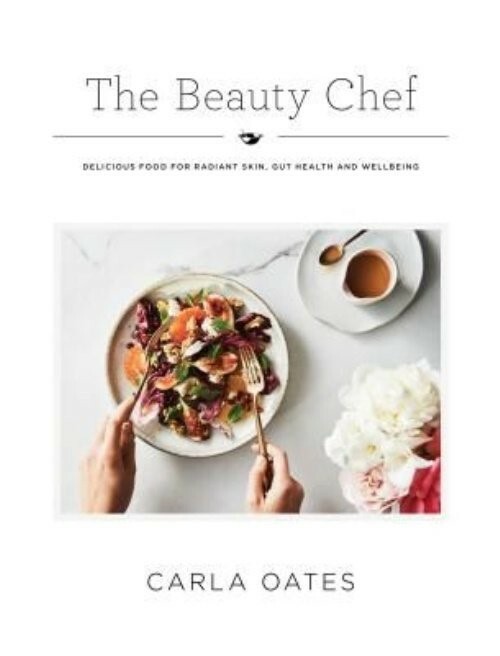 The Beauty Chef is created with Carla Oates’s philosophy, to create foods high in prebiotics and probiotics for friends and family. 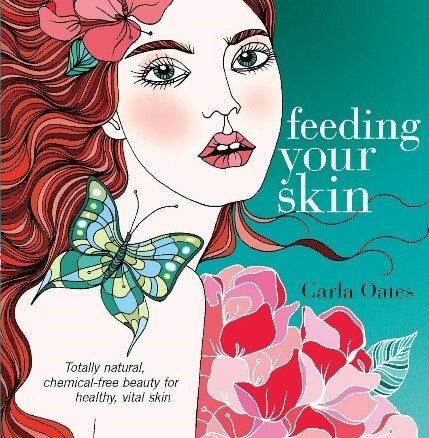 Carla Oates is a naturalist who is passionate about nature and has been researching, writing and teaching about organic beauty and health for the last twenty years. She believes that organic skincare and food is the most sustainable choice for the health of both the individual and the environment. As ‘The Beauty Chef’ and working with a dedicated team of biochemists, naturopaths and nutritionists, she has created the world’s first Living skincare range. All her formulas are based on her ideas and recipes backed by science. Sarah Wilson is an Australian media personality who was the host on the first series of MasterChef Australia. 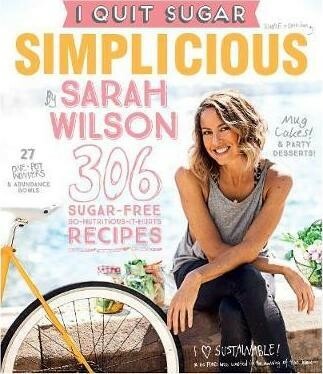 As the bestselling author of I Quit Sugar, she taught the world how to quit sugar for life incorporating mindful, sustainable, whole food practices. Quitting sugar is not a diet, quitting sugar is a way of living without processed food and eating what our grandparents used to before the food was full of additives and there were modern diseases! 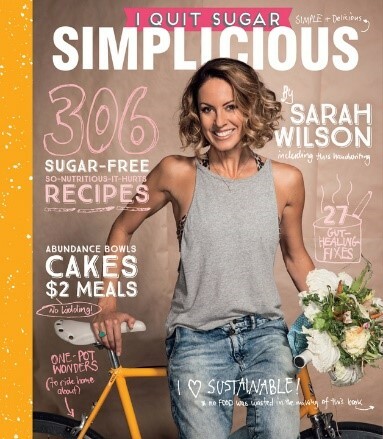 With Simplicious, she strips back to the essentials which are simple and delicious. Drawing on the latest nutrition research and kitchen methods, she shows you how to cook and eat without sugar and other processed foods. She also expands our knowledge of how to use leftovers with flair and avoid food wastage, make guilt free sweet treats, and create one-pot wonders brimming with nutrients. Sarah knows from her own experience that anyone who battles with anxiety will benefit from cutting out sugar and processed foods. 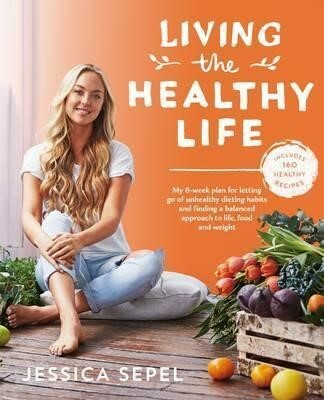 Drawing on extensive research, in her books she explains the benefits behind sugar free living ensuring her techniques and recipes will fit into any home and people’s lives. She even includes children’s recipes, so you can teach your children about nutrition while enjoying some bonding over cooking! Sarah Wilson blogs on http://www.sarahwilson.com/. 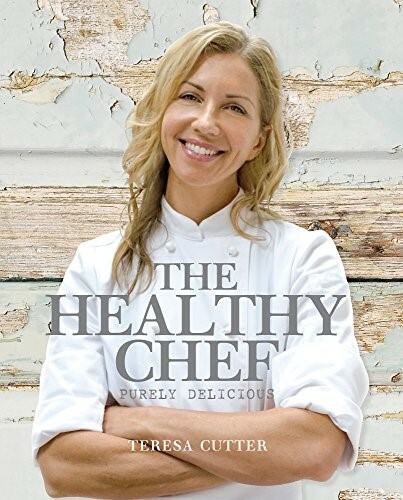 Teresa Cutter is one of Australia’s leading authorities on healthy cooking. A qualified Chef, nutritionist and personal trainer, she has developed healthy recipes for health and wellbeing. Her knowledge of food, diet and exercise has helped her develop healthy recipes for fat loss and total wellbeing. Whether you are a complete beginner or accomplished cook you will be able to enjoy the essence of good food and achieve perfect results from good food with every recipe. For people who do not have a lot of time in the kitchen, The Healthy Chef has easy to follow recipes, designed for people who are passionate about food and health but need simple, fresh recipes to make themselves. Teresa’s philosophy applies her ‘keep it simple, keep it fresh and make it yourself. From yummy breakfasts, dinners, soups and salads, to desserts, smoothies, cakes and more her extensive repertoire of recipes, turn fresh ingredients into delicious food. Her Healthy Baking cookbook has recipes that are free from refined sugars and flours and focus on gluten free, vegan, paleo and wholefoods and paleo creations which will to suit everyone’s choice. 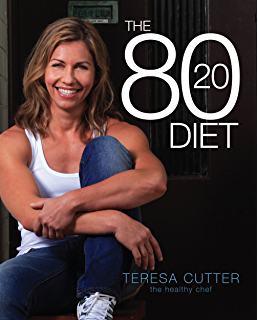 Whilst the 80/20 diet offers a combined diet and exercise plan that will help you achieve your weight loss goals sensibly and enable you to maintain a healthy lifestyle for the rest of your life. It is for people who love to eat and who have made a conscious decision to maximise their health and wellbeing. You can find her latest recipes, tips for health and wellbeing and more on https://www.thehealthychef.com/. When Vladia Cobrdova moved to Australia from Czechoslovakia, she continued to pursue her studies in Natural Health and Therapies. Having worked in the Organic Industry for over 15 years, she has seen organics and wellness go from alternative to mainstream. She is now Chief Operations Officer in a series of stores in Australia which are called ‘Aboutlife’. Aboutlife never sells foods with artificial preservatives, sweeteners, flavours, colours, hydrogenated oils, bleached flour or meats, seafood, and dairy with growth hormones or antibiotics. Here she combined her love for real food and is making an impact on people’s health on a large scale. 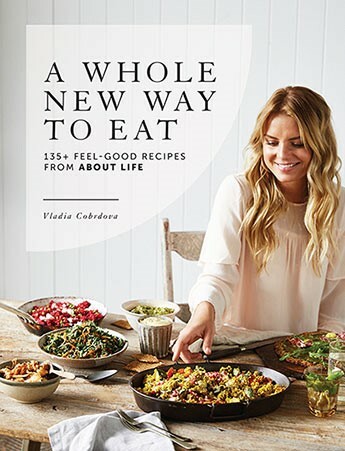 Her cookbook, A Whole New Way To Eat, contains inspirational vegan, paleo or vegetarian recipes. Here she recreates over 135 mouth-watering dishes she has made popular in stores, busy cafes, takeaway and ready-made meal sections. 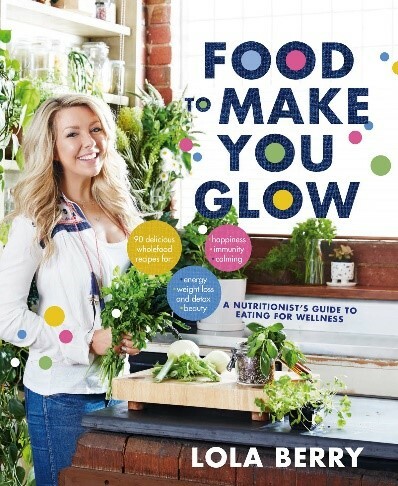 She gives a modern take on healthy eating for those interested in eating well rather than following the latest craze. She emphasises the importance of using food in its most natural state, like eating seasonal foods that are free from unwanted pesticides and chemicals. If you want to know more about fad free eating go to Vladia’s blog on https://aboutlifeblog.com.